Many of us in DIT are student activists, we are not a people to back down and not scream and shout about things we believe in. Particularly when it comes to the environment. The hidden environmentalist in all of us has to restrain ourselves from rugby tackling litterers lol. isn’t something we think or talk about a lot. The Economist describes fast fashion as ‘an approach to the design, creation, and marketing of clothing that emphasises making fashion trends quickly and cheaply available to consumers’. Sounds great doesn’t it? Well here’s why fast fashion isn’t so great; Conventionally there’s only supposed to be 4 fashion seasons a year. Fast fashion allows for up to 52 fashion seasons a year, which is amazing but terrible at the same time. Fast fashion focuses on speed and low costs in order to deliver frequent new collections to shops EVERY WEEK. The problem is, clothes contribute to resource and waste pollution. In fact, the clothing industry is the worlds second worst polluter after the oil industry.Not all clothing items are that valuable to us (especially the expendable items of clothing we are addicted to buying). This means most of them will be thrown out eventually. When textile clothing ends up in landfills, the chemicals on the clothes, like dye can cause damage to our beautiful planet by leaching the chemicals into the ground. Along with the meteoric levels of textile waste and toxic chemicals, fast fashion induces a lot of water pollution. This means that Fast fashion is intrinsically bad for the environment. When I decided to look into this problem, I read articles and watched documentaries like ‘The True Cost’, ‘The High Price Of Low Cost’ and ‘The Machinists’ . I also turned to a former DIT Student Tax Kelleher, who I would describe as a sustainable fashion guru. I asked her when she became aware that fast fashion was bad for the environment. The perspective that she looks at it from is really interesting. ‘When you think of a top in Penneys thats costs you €5, the cotton seed has to be bought, sown, fertilised, harvested, transported to a factory, then thread into cotton, woven into sheets, the design has to made out for the t-shirt, the t-shirt then has to be made out into that design, hands of labour touch this t-shirt, the t-shirt then is transported to Ireland, then to the shelves in Penneys and after all of that, Penneys still need to make a margin’ taking all of those factors into account and still we can get t-shirts for €5, it has to be obvious that this cheap clothing is not only effecting lives of people at the bottom of the chain, but that there are no precautions taken to make sure that this process isn’t harming the environment’. Taz advises compulsive shoppers (like me) that you need to consider the amount of hands/lives that have touched a garment, and ask yourself if the price reflects the amount of work that has gone into it. Question why its such a good bargain and educate yourself. DON’T BE CARELESS WHEN YOU’RE BUYING THINGS!! As painful as paying a lot of money for one thing is, you’re paying for a quality item, which will hopefully suppress your ‘need’ to buy 15 cheaper versions of it. If you absolutely need to buy something, you will surprise yourself with the absolute gems they have in charity shops. Aungier street is located very closely to some great charity shops like All Sorts, St Vincent de Paul, Oxfam etc. You’ll actually be doing a double good thing, because while you’re helping slow down the negative effects of the clothing industry you’ll be giving to charity too. Charity shops have some really cool things that nobody else will be able to find, so even if charity shopping isn’t initially appealing to you now, the original items and the satisfaction of finding something you like will change your mind. You never know what you can find out. This is an ethical fashion app. Essentially, it exposes fast fashion brands and gives you an insight to how cruel or cool the production of the brands clothes are. H&M, Zara, Forever 21, Urban Outfitters, Aldo, GAP, Victoria Secret and Penneys are but a few of the shops you should be weary of. We need to snap out of it and realise that the working conditions for people in developing countries like Bangladesh are seriously alarming. Think of the building that collapsed in Rana Plaza Bangladesh, killing over 1000 people. If we continue to buy and buy and buy from these brands at the current expeditious rate, working conditions will never get better. Long hours, dangerous, strenuous, basically no pay. 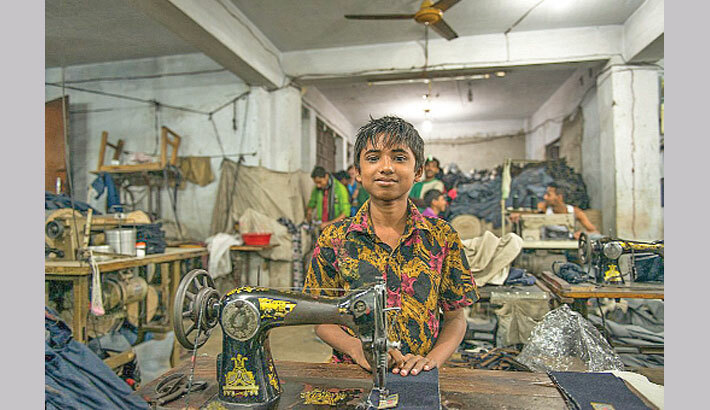 In Bangladesh, the current minimum wage equates to approximately $65 a month, but on average it costs $150 to rent a one bedroom apartment. Without me even breaking this down any further it is evident that fast fashion brands simply aren’t good enough and clearly don’t care or value these workers. This is not okay. What will happen if we don’t stop? The United Nation Environment Programme have stated that the fast fashion industry creates more greenhouse gas emissions than all international flights and martime shipping combined. If we don’t take action now, this will only increase. 2. The future waste that we will create is alarming. Currently, fashion is responsible for 92 million tonnes of solid waste each year. If this doesn’t scare you, it should. 3. Microfibre in fabrics made by fossil fuels such as polyester will continue to pollute our oceans and murder sea life. And lastly, if you’re interested, here is a link to some sustainable fashion brands.